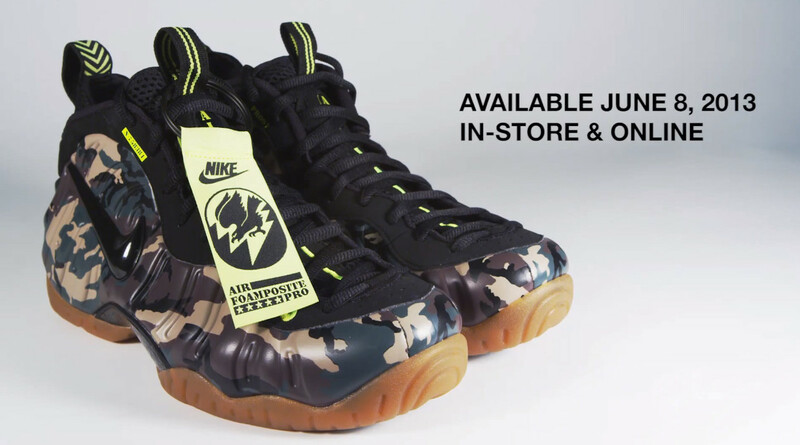 Video // A Closer Look at the Nike Air Foamposite Pro "Army Camo"
A high-definition look at the upcoming "Army Camo" colorway. Canada's Livestock provides us with a closer look at the upcoming Nike Air Foamposite Pro "Army Camo" colorway, releasing this Saturday at select retailers. This high-definition video examines the new colorway's unique details – military-inspired branding along the eyestays, a gum outsole and, of course, a new camouflage paint job. The "Army Camo" Air Foamposite Pro releases at select Nike Sportswear accounts, including Livestock, on Saturday, June 8.